Hemp-Lime is a sustainable material, it can be used as a solid wall insulation, in floors and roofs. It can also be used as a plaster on old stone and brick walls. The hemp-lime mix is a combination of hemp shiv and lime, the lime is typically a blend of hydraulic and hydrated lime, proprietary binders are also available from St. Astier and Tradical. The mix forms a bio-composite building material and insulation. It has excellent thermal and acoustic properties and creates a healthy internal environment. From a global environmental perspective hemp is a truly sustainable material, that if widely adopted could have a significant effect on the greenhouse gases produced by the construction industry. An average house produces over 50 tons of carbon emissions, hemp building by contrast locks up over 50 tons of carbon, approximately 110kg of CO2 per m3 of Hemp-Lime. Built around a timber frame structure, the construction technique can deliver a fast build out, with excellent levels of insulation, natural air-tightness and good vapour permeability. Hemp-Lime is a flexible and adaptable material, allowing builders, architects and home owners huge flexibility for building layouts and design. 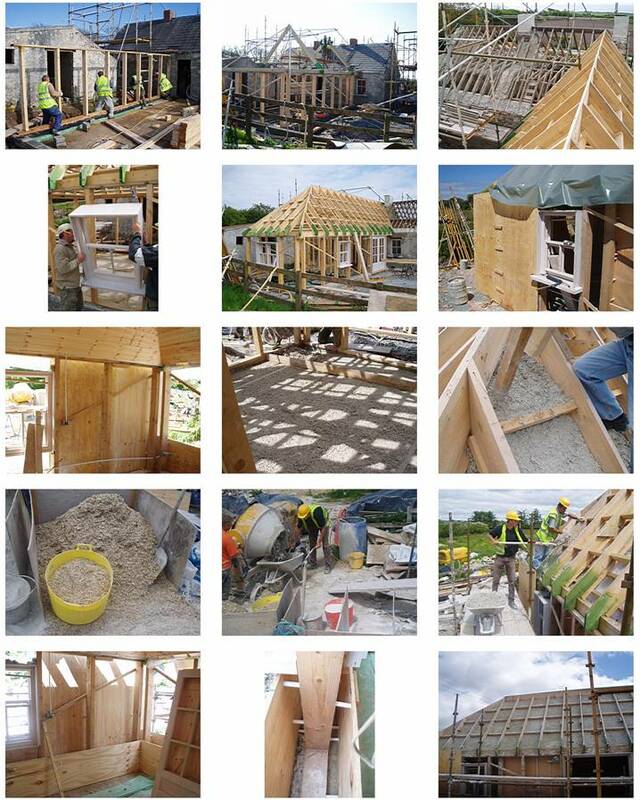 Hemp-Lime can be used with many structural framing systems, the timber frame supports the hemp-lime wall. With on site custom framing additional benefits dealing with cold bridging and air tightness can be obtained. The nature of the wall is lightweight, which means fewer supports and lighter foundations, saving time and money. Due to the vapour permeability the walls, it is sufficiently dry to allow the use of untreated timber. The building process involves casting into temporary shuttering, moulds or forms around the timber frame structure, a lime plaster is applied just like concrete or render, both inside and outside. The hemp-lime can cope with the flexural nature of buildings. It is rodent, mould and fungus resistant, when it is plastered. 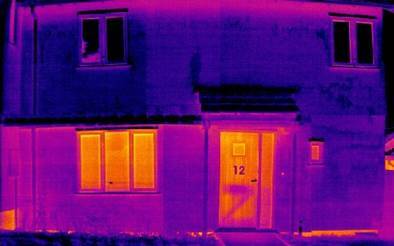 It has excellent fire resistance to conform to current building regulations. Plaster and render finishes can be done in the same way as cement or gypsum plaster, in addition to imaginative and artistic possibilities. hemp-lime products are among the most ecologically sound of building products. Hemp does not require chemicals in its cultivation. Like most plants, hemp transforms carbon dioxide during its growth and captures the carbon, releasing the oxygen to atmosphere. This has the effect in achieving the sequestration of the principal greenhouse gas CO2. Lime based binders are produced using lower energy methods in the manufacturing than Portland cement. Lime is burned at a lower kiln temperatures reducing emissions considerably from the methods used in producing Portland cements. In addition, as the lime cures, carbonation occurs, and it re-absorbs carbon dioxide in the process. The considerable insulation characteristics of hemp-lime means lower heating costs in winter and comfortable temperatures are maintained in hot weather. The vapour permeability of the hemp-lime means a reduction or limitation of forced ventilation and de-humidifying systems. Hemp-Lime is comfortable to touch and feel, it can radiate warmth into a room. The high vapour permeability avoids the development of condensation and trapped moisture within the building. This improves the air quality and naturally controls the humidity. A low humidity level reduces the likelihood of irritant moulds and fungal growth, mould can affect the health of occupant's. The natural materials means the absence of solvents, glues and plastics, most the most dangerous building materials, such as particle board, waferboard, carpet, foams, paints. The importance of breathability for a healthy indoor environment. 1 Hectare will produce up to 10 Tons of hemp in France and about 8 Tons in the UK and Ireland. 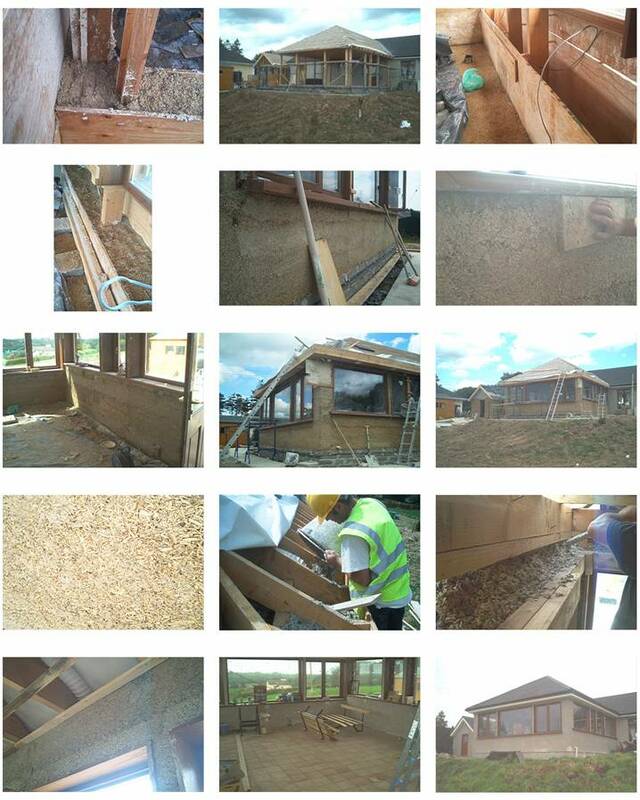 showed that hemp-lime construction met the acoustic requirements of the building regulations. Further ongoing research shows that it has the ability to absorb up to 90% of air-born sound. This research is continuing in order to maximise the potential of hemp-lime to be used in sound-proofing applications. 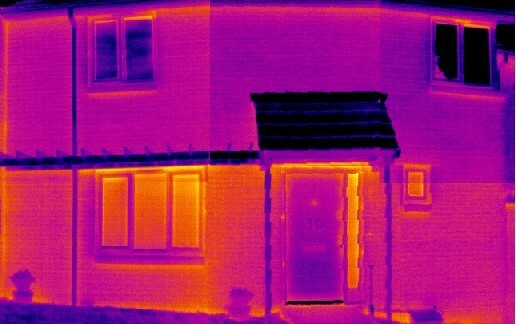 Compares HEMP built with MASONRY built, clearly shows less heat loss from the hemp building. 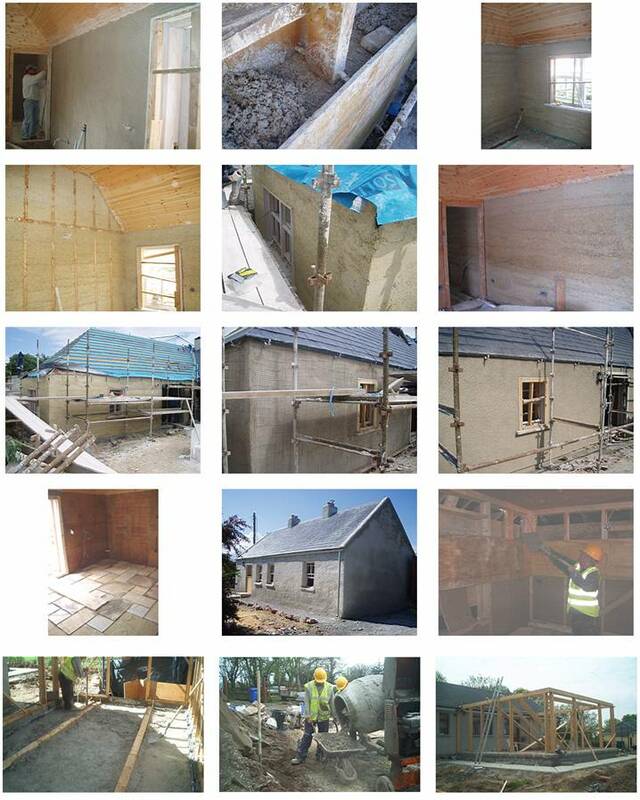 SOME HEMP BUILDINGS BUILT BY OLDBUILDERS These photos show the process of hemp building, note the mixing, barrows, shuttering and hand tamping used by us until recently here in Ireland, we now also use the machine mix and blown method like in pictures above used in France.